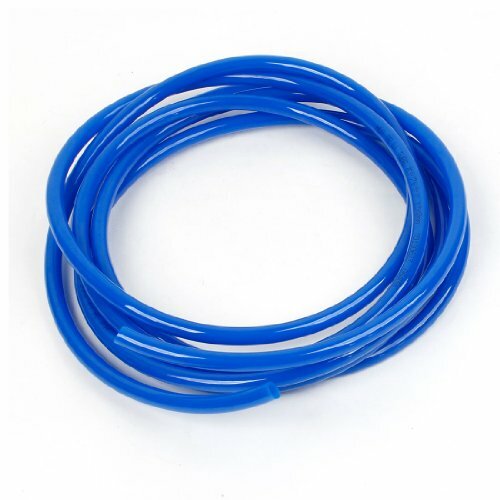 5 Meter 16.4Ft 12 x 8mm Pneumatic Air PU Hose Pipe Tube Blue by uxcell at Humble Opinion. MPN: a13120900ux0496. Hurry! Limited time offer. Offer valid only while supplies last. 12mm OD, 8mm ID and 2mm wall thickness, 5 meter Length. Lightweight, tough, kink resistant tubing, it is ideal to use with push to connect Fittings. 12mm OD, 8mm ID and 2mm wall thickness, 5 meter Length. Lightweight, tough, kink resistant tubing, it is ideal to use with push to connect Fittings. Outside Diameter : 12mm/0.47inches;Inside Diameter : 8mm / 0.3"